On Dhanatrayodashi (or Dhanteras ), Goddess Lakshmi is worshiped to provide prosperity and well being. Dhanatrayodashi holds special significance for the business community due to the customary purchases of precious metals on this day. 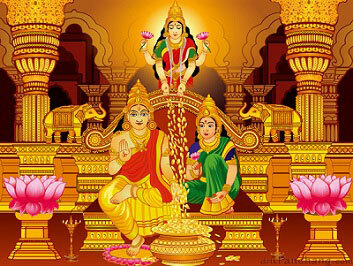 Lord Kubera, the God of assets and wealth is also worshipped on this day.